Our final stop with Agent Carter is this short film that wrapped things up nicely. For the first time ever, I watched a Marvel One Shot. For those unfamiliar, these are short films that are part of the Marvel Cinematic Universe. They’re not required viewing, but they do a good job in terms of filling in small pieces and adding to the overall universe. While most of these are good, harmless fun, this one was special. This One Shot focused on Agent Peggy Carter. It was included on the Iron Man 3 Blu-Ray release and gave us a look into what Peggy was up to following her appearance in Captain America: The First Avenger. The short film was so well received, it sparked a ton of interest in the character and led to a network, and fans, clamoring for a series based on the character. I just finished the two seasons of Agent Carter that this One Shot spawned. Though it set up the show, it actually seems to come a bit later in the timeline. The short film begins with Peggy in New York, at SSR headquarters. It seemed to be the exact same set used during season one of Agent Carter. She’s still being treated poorly by her co-workers, so one could assume this happened before the series began. However, with no Agent Thompson around and Daniel Sousa probably still in Los Angeles, it’s reasonable that this, which takes place one year after the events of the Captain America: The First Avenger, comes after the show. I ultimately must commend everyone involved in this. Peggy gets thrust right into the action and almost nothing is wasted of the twelve minute runtime. It quickly becomes clear why this character was so popular and why people wanted a show based around her. She’s a strong woman who beats up every man that gets in her way. 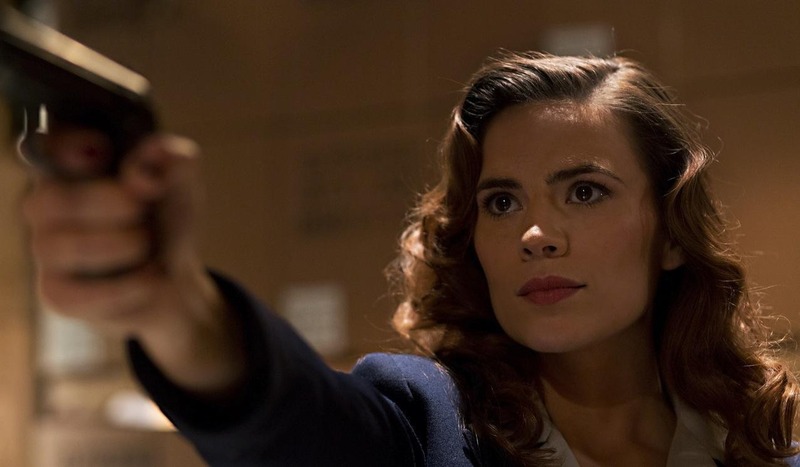 And of course, Hayley Atwell once again shined in the role. Even with such a short time on screen, she manages to captivate viewers. Her battle with the large, gas mask wearing henchmen is one filled with tense moments and lingers just long enough for you to think she might lose. It’s well done by everyone involved. In the grand scheme of things for the MCU, this served a purpose. Following Peggy getting chastised for taking on a mission, Howard Stark calls her superior. He wants Peggy to head up S.H.I.E.L.D. and puts the dude in his place. Not only that, but Stark just so happens to be hanging out with Dum Dum Dugan at a pool. The sight of Dugan doing something so normal as relaxing by the pool is pretty hilarious. Not to mention, Howard wears a robe that Tony later dons in a future MCU movie. Setting up S.H.I.E.L.D. is a big moment that means a lot to the universe. There’s not as much to say about this as the seasons, considering it only runs twelve minutes. Still, they packed a lot into it and, when viewed in this order, works as a fitting end to Peggy as a main character. We don’t see her again until she’s old and gray. I really enjoyed this, but am excited to move away from the 40s and into the 2000s. It's time for the MCU films to get some shine.